In Sidereal astrology, the sun currently transits the constellation of Scorpio from January 15th to February 14th . It marks the beginning of Utarayan celebrated as Makar Sankranti. Characteristics of Zodiac sign- Capricorn. 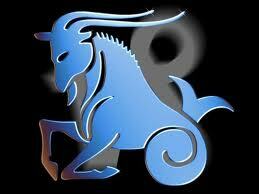 Capricorn is a female, movable and earthy sign. Being a female sign, we see a person who is not very strong physically, has a lean, thin structure, stooped shoulders, tendency to fall sick, anemic and susceptible to cold . Being a movable sign, makes them busy and wants to be occupied. They like to do physical work but when relaxed can be lazy. Being an earthy sign, work becomes important for them and are workaholics. Will go with their routine work . Being a rashi of Kama trikone, money and work becomes important for them. Lord of Capricorn is Saturn, which makes them slow, hardworking, religious, workaholic, reserved, secretive, fanatics, enjoy their routine work and depressive . Qualities in patients for Homoeopathic prescription. Remedies indicated:- Baryta Carb, Ammon Mur, Natrum Mur, Alumina, Stannum met, Sepia, Aurum Mur, Carbo veg. In a chart, whose ascendant is Capricorn or Moon is in Capricorn or Saturn is in Capricorn or Libra, where it is exalted, the above qualities would be more prominent .